This quadcopter drone is a complete set, including 2.0MP 720P 120° wide angle FPV Wifi camera + altitude hold mode + headless mode + one key return function + G-sensor + 3D flip and roll + 3 speed modes + 6-axis gyro system + LED navigation lights. It's a good choice for hobby lovers at different levels. Air pressure altitude hold (sensor): will be locked at a certain height stably, and improve the clarity of aerial photograph. Headless mode: when enters the headless mode, the control will be set to one direction based on the quadcopter’s current path. 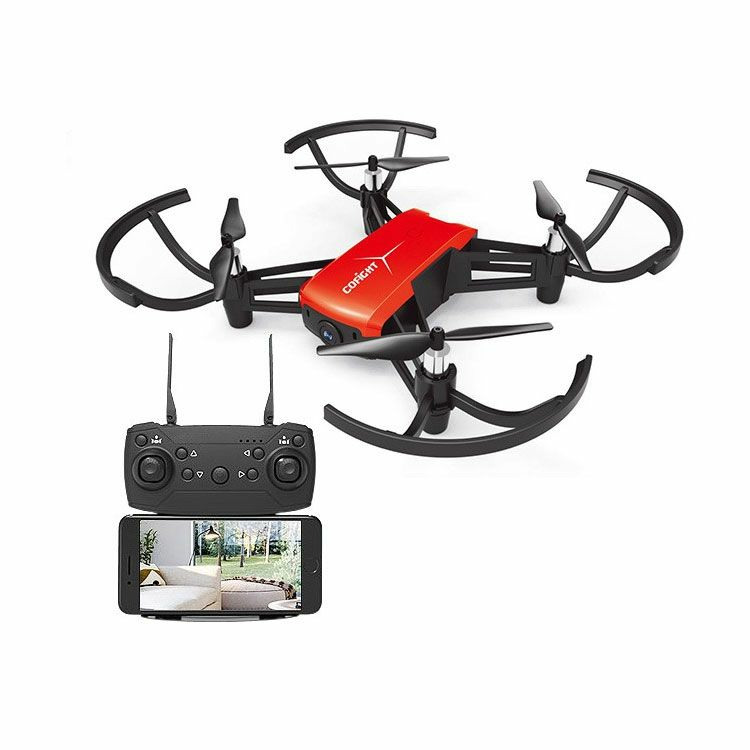 HD WIFI real-time transmission FPV system with FOV 120°720P HD FPV Camera: enjoy capturing aerial photos and recording live videos from the air. 360 Degree Roll-over: 4-ways flip (left, right, forward, backward), continuous roll for perfect action and wonderful performance. A key to return - makes it easily to find the way home. Take off and landing with one key. Drawer-type storehouse with 1000mAh battery - easy to replace the battery and achieve a longer flight time. 3 speed modes from low to high - suitable for beginners or experts. LED navigation lights for night flight. Camera len can be adjusted to up and down by 60 degrees.